Combine all marinade ingredients in a small bowl and mix well. Line your baking tray with foil paper and place the fish on it. Pour marinade on top of the fillet and spread it over both sides of the fish evenly. 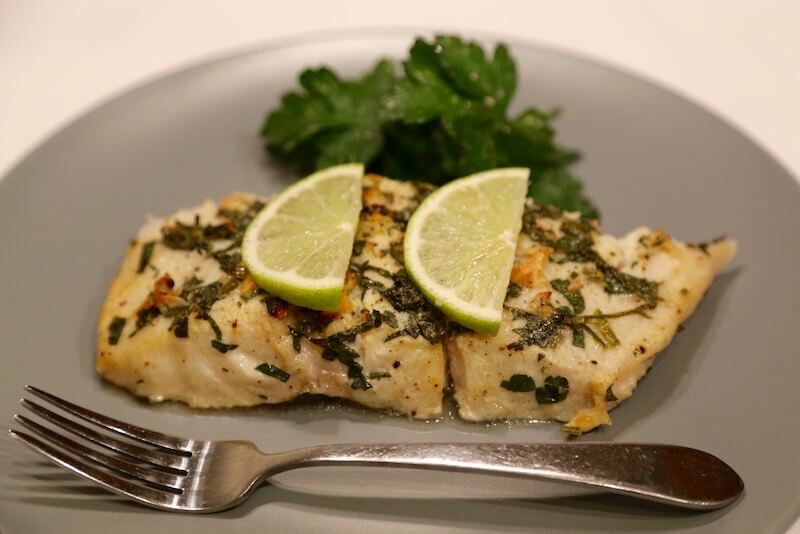 Bake corvina fillet in a preheated oven over 350 degrees for 20-30 minutes depending on a size of your fish. Check frequently and adjust temperature if needed. My husband and the friend of ours were blown away to say the least! The recipe worked!!! The lime marinade was just perfect for corvina as it was for chicken so I can say that I have a slight idea of it tasted like. 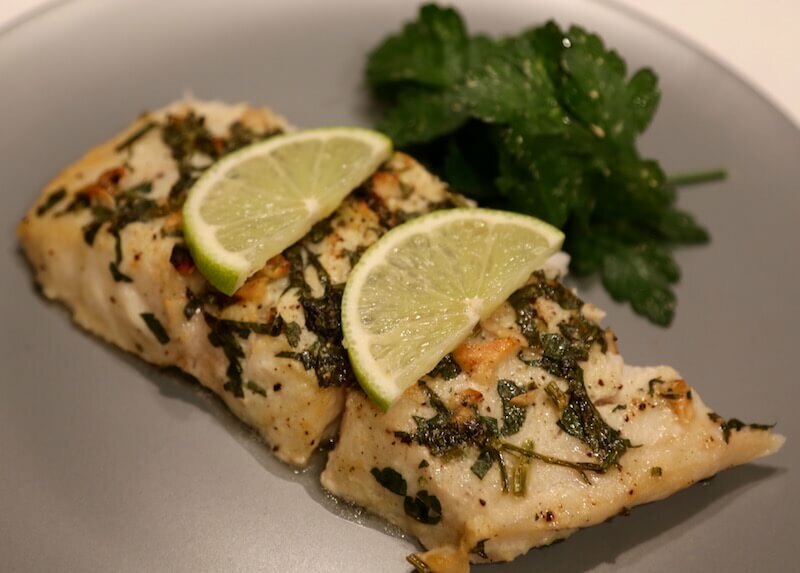 I hope you’ll enjoy this healthy recipe of baked corvina in the lime marinade and maybe try it with some other fish like salmon or sea bass.